One strategy for making a recording project more accessible: Use popular melodies and themes as starting points. 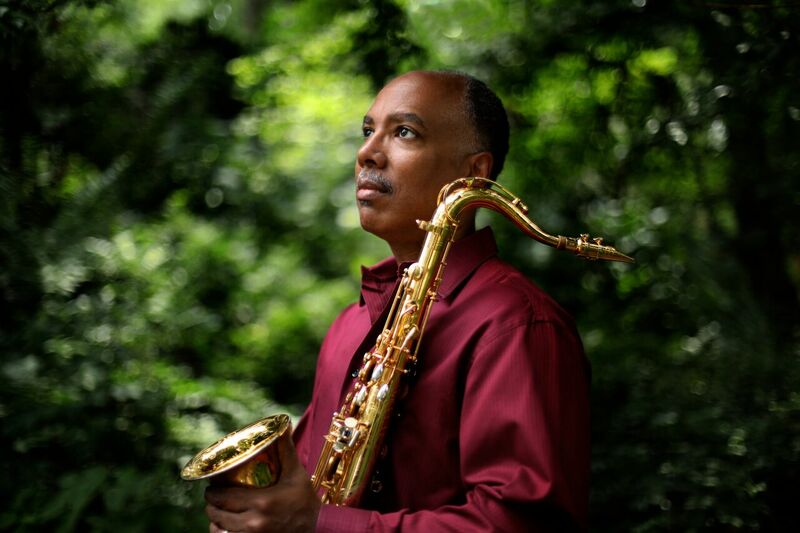 Don Braden, who deserves greater recognition as one of our era’s tenor sax titans, takes just such an approach with Earth Wind and Wonder, drawing from the chartbusting soul and R&B of Stevie Wonder and Earth Wind & Fire. Their music, as Braden writes in the liner notes embodies “core themes such as strength, love and joy”; he handily gets at those emotions while simultaneously recasting familiar gems as sources for creative jazz explorations. Wonder’s “Don’t You Worry ‘Bout A Thing”, one of the most tuneful pieces here, has the leader applying his smoky tone to the melody before burrowing into the changes for one of the disc’s most fruitful improvisations, backed by pianist Brandon McCune, bassist Joris Teepe (Brandon’s co-leader on last year’s Conversations), and drummer Cecil Brooks III. The same group is also heard on EWF’s “Fantasy”, its opening rubato line reharmonized the second time through; Stevie Wonder’s mellow “I Can’t Help It”, with Braden leading on flute; and original composition “The Wonder of You”, a Stevie-esque ballad fueled by light bossa rhythms. Braden deploys a different rhythm section – pianist Art Hirahara, bassist Kenny Davis, and drummer Jeremy Warren – on the disc’s other tracks. Wonder’s laidback “Visions” with alto flute out front, and a hard-shuffling “Higher Ground” are highlights. The same quartet shines too on on EWF hit “After the Love is Gone”, a slow-burning showcase for Braden’s warm, expressive tenor, with a quick quote from Don Myrick’s original sax solo. Another original “The Elements”, a sprawling, quick-shifting piece conceptually tied to musical representations of earth, air, fire and water gives ample solo space to Braden and Hirahara. It all makes for an unexpectedly inventive reappreciation of some durable ’70s radio hits.